I received this for review from Hachette Children's Books for review. As always, my reviews are fair and un-bias. Luna has always been able to exist in virtual and real worlds at the same time, a secret she is warned to keep. She hides her ability by being a Refuser: excluded by choice from the virtual spheres others inhabit. But when she is singled out for testing, she can’t hide any longer. The safest thing to do would be to fail, to go back to a dead-end life, no future. But Luna is starting to hope for something better, and hope is a dangerous thing. 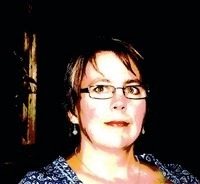 Teri Terry's known for her multi award winning series Slated (that is waiting on my shelf to be read ASAP!) that sucked me right in with a synopsis of a girl called Kyla who's memory has been erased as well as her personality and past memories, basically being "Slated" and started fresh. So I had high expectations that whatever Teri came up with next would be a huge hit with me. Luna, our main character, is a Refuser - someone who refuses to be virtual and wants to live life the "old school" way. In the world she exists in, she can live in virtual worlds and real worlds at the same time, something similar to the others who can live in a virtual world, although they would be existing in one at a time and on a life support type of device whilst they were. Virtually, they could potentially live forever if they wanted to. Because Luna is different, she has to hide her secret. I found this was a little like Divergent when Tris found out she could control the simulations. Although it wasn't exactly the same, this drew me in a little further because I loved Divergent and the whole "fantasy" within Dystopia and worlds that exist virtually or in our minds. But then Luna is singled out. They want her for testing and suddenly she can't hide behind being a Refuser anymore. She's thrown into the spotlight and her secret of knowing what is real in a world built with delusions is on the verge of being tested. My favourite part of Mind Games were the actual mind games. The things about the story-world and characters that threw me and made me want to explore more into the inquisitive and brilliant world Teri had built. I loved the character of Luna and how her development throughout the book grew into a clear favourite of mine. Surprise villains, races against the clock and games, games, games, Mind Games will make you question what's real and isn't, throw you into a world of utter magnificence and creativity and you'll be on the edge of your seat until the end in hope - and hope is a dangerous thing for Luna. Mind Games is one of the best books I've read this year and if the synopsis alone doesn't make you want to run out and read it then I don't know what will. 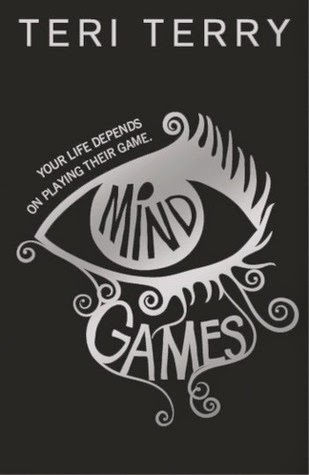 If you loved Divergent and The Murder Complex, you'll love Mind Games without a doubt. Like I said above, fans of Divergent will read this like there's no tomorrow. Teri has lived in France, Canada, Australia and England at more addresses than she can count, acquiring three degrees, a selection of passports and a silly name along the way. Past careers have included scientist, lawyer, optometrist, and, in England, various jobs in schools, libraries and an audiobook charity. The footpaths and canal ways of the Buckinghamshire Chilterns where she now lives inspired much of the setting of Slated. She hates broccoli, likes cats, and has finally worked out what she wants to do when she grows up. To celebrate the release of MIND GAMES, one lucky Pretty Little Memoirs blog reader will win the very book I've just read (and loved) for themselves thanks to bookswithbite.co.uk! What did you think of Mind Games? Is Slated on your TBR or have you read more of Teri's books?